Compost is on of the most important supplements to add to the soil you will use for gardening. Humus rich in nutrients will encourage your plants to grow faster and give nutritional value to your fruits and vegetables. Natural alternative is also good for the environment. Approximately one third of all our waste is compostable materials. Your herbs, fruits and vegetables will be much better and healthier without fertilizers filled with chemicals which are usually used. The most practical bin for your outdoor composting is enclosed one. You can even build it yourself. An easy way is to use a garbage can and drill aeration holes in rows around the can. The bin can be rolled if the lid is secure. Another option is to make wooden one or simply buy it. The best place to put your composter is a level, well-drained spot. It is important for all the excess water to be able to drain away easily. It will also help the worms to get in and speed up the process. If possible you can hide it behind a bush or some other plants. Start with the first layer of your compost on bare earth in order to make it easier for beneficial organisms to enter. You can for example use twigs or straw for better drainage. In this time the good source of your compost could be a large amount of fallen leaves. Besides the fallen leaves you can use all old and dead plants, fruit waste, vegetable peelings, grass cuttings pulled weeds etc. Use huge amounts of plants especially if you have a lot of kitchen waste in the mix. From time to time you can also add a few shovelfuls of soil to your pile. 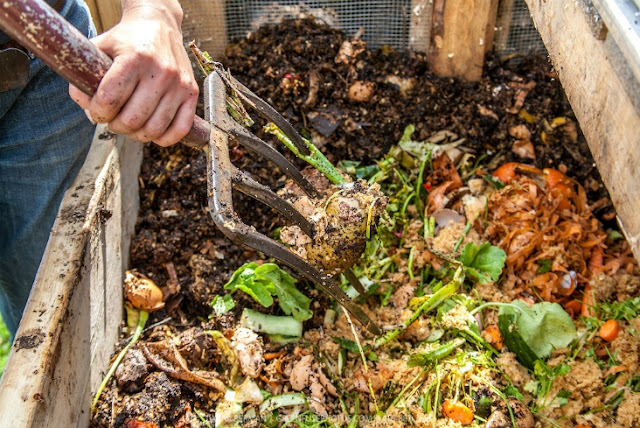 It is not recommended to add meat and oily food products to your compost pile. It will take much longer for this food to decompose. It goes the same for dairy products. Never use diseased plants or dog poo. Weeds with seed heads are also not suitable for composting. 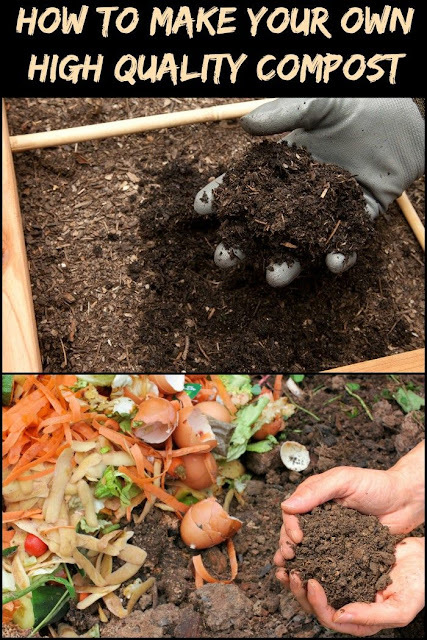 Compost materials should be placed in layers, changing between moist and dry one. Wood ash is great for preventing moist material to clump together which would slower the breaking down process. You can also add torn cardboard in order to create air pockets. To add enough oxygen, which is required for the composting process you can occasionally turn around your compost pile. Make sure that your compost won’t be too wet or too dry. The pile needs to be around three square feet big in order to maintain the moisture properly. It is advisable to have your compost covered. You can use anything you have. It can be made of wood, plastic or you can even use carpet scraps. This will help retain moisture and heat and prevent it to get over watered by rain. It is important to have beneficial organisms in your compost, helping with the process. The warms are perfect for the job. They will help breaking down organic material while eating its way through organic waste. They can live in the dark and they love moist atmosphere. It is important not to put bones or meat scraps into the compost. Odors can be reduced if you cover new additions with dry grass clippings or something similar. You can also add lime or calcium in order to neutralize the smell or even straw or dried leaves.